Healthy game day food? Yup! 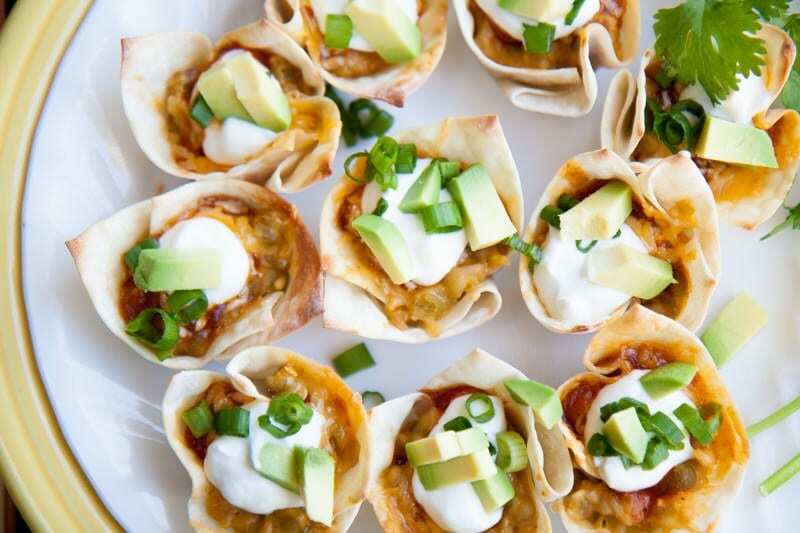 These vegetarian, baked, super healthy Lentil Enchilada Wonton Cups with help make your game day party healthy! Is it too early for me to start loading you guys up with Super Bowl recipes? We’re less than a month away, and Super Bowl season is one of my favorite times of year for cooking. And after this weekend’s crazy awesome Colts win, I’m way too jazzed to keep my excitement to myself. Maybe it’s because I’m such a crazed sports fan, but I think that game day foods are where I really thrive in the kitchen—especially healthier, lighter options that’ll please everyone. To me, there is nothing more fun than setting up for the big game with platters of mini-treats for everyone to enjoy while rooting on their favorite team. Some of my best memories with family and friends involve a TV, the big game, and a whole bunch of yummy game day appetizers. I think part of the appeal of healthy game day food is that no one expects to get healthy food at a game day party. 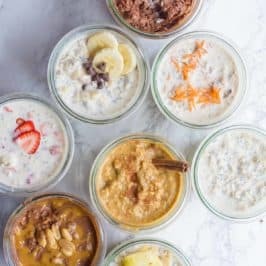 I love coming up with bite-sized, game-friendly treats that are shockingly good for you! Surprising people is fun. You go into a watch party expecting to gorge yourself for hours on plate after plate of cheesy, beefy, salty snacks. 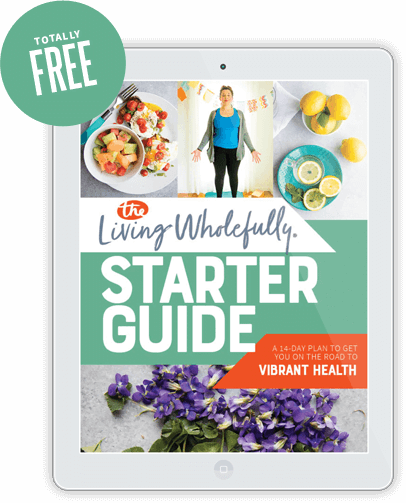 No one expects to see healthy, light options sitting on the smorgasbord. 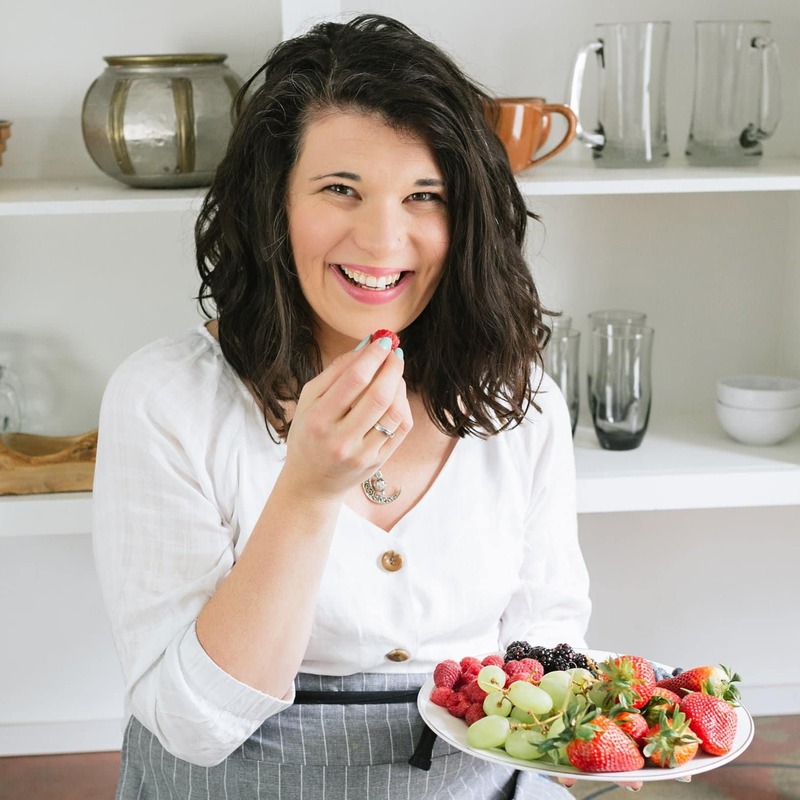 It’s a welcome surprise for those of us who are health-conscious, and a nice little bit of subterfuge for those who hate healthy food (but never suspect anything is up, because the results are so yummy). I also love how totally unfussy game day food is. No fancy garnishes, hard-to-find gourmet foods, or utensils needed here. Game day food is hard-working, blue-collar goodness. It’s the kind of food that you can serve to both your favorite aunt and your seven-year-old nephew—and they’ll both come back for another round. It’s the kind of food that begs to be spilled on shirt fronts during big plays. It’s the kind of food that is delicious piping hot out of the oven at kick-off (or tip-off or puck-drop) and still just as yummy come overtime. 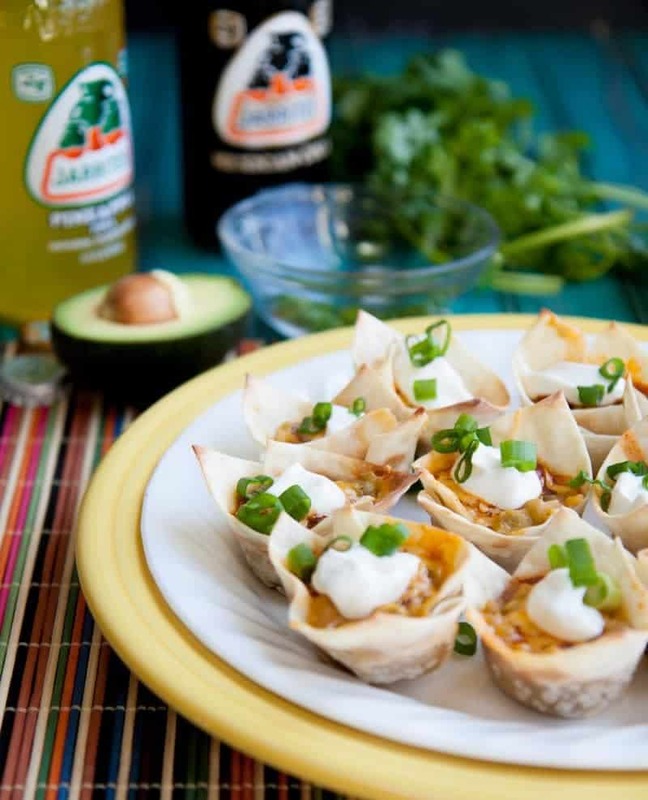 These little enchilada wonton cups satisfy a lot of the standard game day food requirements: they’re bite-sized, hand-held, and full-of-flavor. They also fulfill some of my healthy food requirements: they’re made with real food ingredients, they’re vegetarian (which isn’t usually a requirement for me, but at game day parties, it’s nice to provide folks a meatless option amongst the bevy of meat dishes), and they’ve got a nice added nutritional punch of protein and fiber thanks to the lentils. And if you’re worried about the lentils turning folks off, let me tell you, they’ll never know lentils are in here. 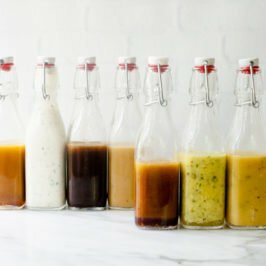 Lentils work beautifully as a meat substitute because they have a nice chew and texture that feels similar to the heft of biting into meat, and when they’re packed with all kinds of spicy flavor and topped with great toppings like cheese, sour cream and avocado, there isn’t a single touch of lentil-flavor. If you’re hesitant to work with lentils as a meat substitute, I promise you have no reason to be. In fact, two of my most popular recipes on this blog are lentil-as-meat-substitute recipes (Lentil Sloppy Joes and Mexican Lentil Stuffed Shells), and they’re so well-loved because the lentils totally work. No earthiness. No crunchy-hippie-health food store taste. I promise! Plus, as an added benefit, lentils are cheap! Cheap is good. Especially when you’re feeding a crowd of hungry sports fans. If you’ve never worked with wonton wrappers before, you can usually find them near the tofu in the produce or deli area of your grocery store. 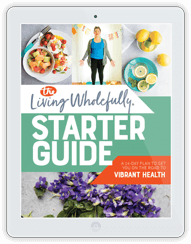 Make sure you look for an all-natural brand (some of them are made with yucky chemicals). The wrappers are usually used to make (duh) wontons, but they have a ton of non-wonton-y uses. You can use them to make ravioli, pizza rolls, crackers, and lots more. 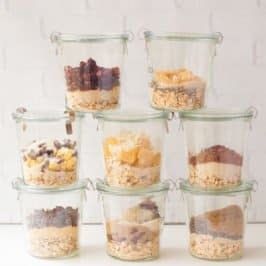 I love using them like I do here—as a liner for a mini-muffin tin to hold all kinds of flavorful fillings. One word of warning when baking wonton wrappers: they go from super soft and pliable to crazy crispy in a flash in a hot oven. The first time I baked wonton wrappers, I overbaked them (even though they didn’t look overbaked), and they were so crispy and hard that I had Cap’n Crunch-style scrapes on the roof of my mouth for days afterward. The key is just to pop the wrappers in the oven for a few minutes to harden a bit, but to pull them out before they get dangerously sharp—it’s about 5-7 minutes in a 400° oven for me. That gets them golden brown and crunchy on the edges, but leaves them easy to bite into. In a medium saucepan, combine the lentils, taco seasoning, and water. Bring to a boil, reduce heat, cover, and simmer until the water has been absorbed and the lentils are tender (but not mushy)—about 25-30 minutes. Depending on the age and type of lentils, you may have to add a touch more water to achieve this. While the lentils cook, preheat the oven to 400°. 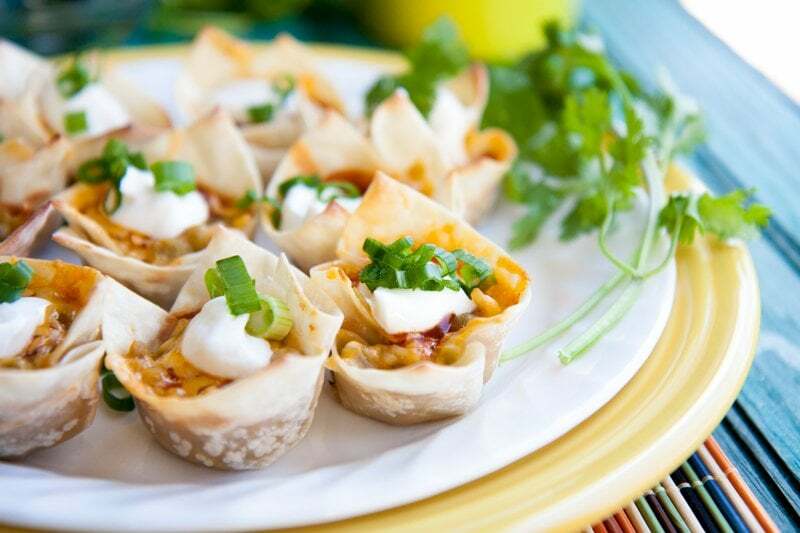 Spray a mini-muffin tin with cooking spray and press a wonton wrapper into each of the cups. Set aside. When the lentils are finished cooking, remove from heat, and stir in the cream cheese until melted. Spoon about one tablespoon of the lentil mixture into each of the wonton cups. 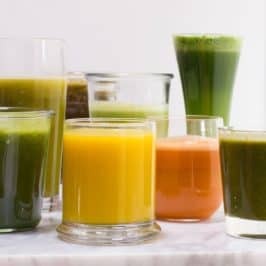 Top each cup with about a teaspoon of enchilada sauce and a sprinkle of cheese (you will probably have enchilada sauce leftover). Bake cups in preheated oven for 5-7 minutes—just until the cheese is melted and the corners of the wonton wrappers begin to brown. Do not overbake! Remove from the oven, let cool for 5 minutes, then remove from muffin tin and keep warm. Repeat process with remaining 24 wonton wrappers and the remainder of the filling. 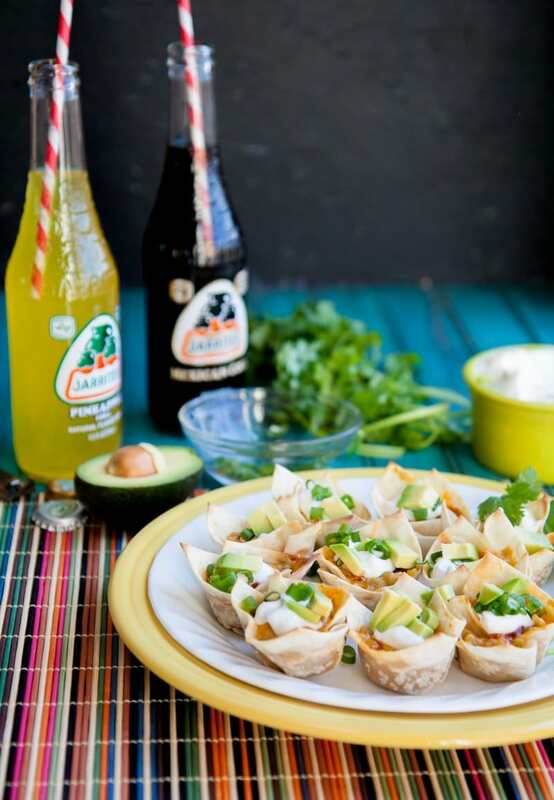 Top each cup with sour cream, chopped avocado, or other desired toppings, or set toppings alongside cups for guests to customize themselves. What’s your favorite game day food? Dang these little cups sound awesome! I really, really, really love nachos! Oh, and queso! I love queso! These sound amazing and I LOVE that they use lentils. I think I might try making a vegan version :). Thank you so much for posting this! 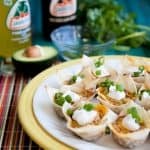 I am so excited to try lentils for the first time and I LOVE Mexican food so I think this and your stuffed shell recipe would be great ways to try them. I’m not a big sports fan, but I would indulge in these. But maybe indulge isn’t the right word, as they are on the healthy side of things! These look fantastic. I’ll have to make them at our next game night! I made these with dinner tonight, and they were soooo delicious! I just had to alter the cooking method slightly because I don’t have an oven. I wrapped the filling inside the wonton wrappers like little rolls (followed the instructions on the back of the package) and then fried them on the stove top for 3-5 minutes. They came out nice and crispy, and I ate them with warmed taco sauce for dip. These are a new favorite at my house, yum yum! These look so cute! And TASTY! Oh wow, these are beautiful and sound delicious! Would be great for Super Bowl parties, yum! 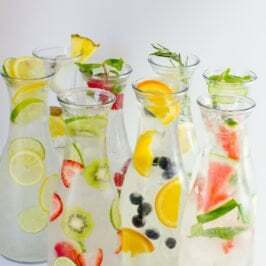 I am interested in making these but I am just wondering if they can be prepared ahead of time and served cold?? or must they be served warm.